When it comes to animated films, Disney is pretty hard to beat. They most always manage to find that balance between great characters, heartwarming and grounded storytelling, and entertainment value. Moana is exactly all of these things wrapped into a film that is reminiscent of many classic Disney tales. The music is outstanding, the adventure wondrous, and the cinematography rich with color. The film pays special attention to the Earth and its elements and breaks the general Disney princess trope in many ways while serving up an inspiring character. Set in the South Pacific, Moana catapults us into a world of demigods, coconut pirates, and anthropomorphic oceans and rock formations. 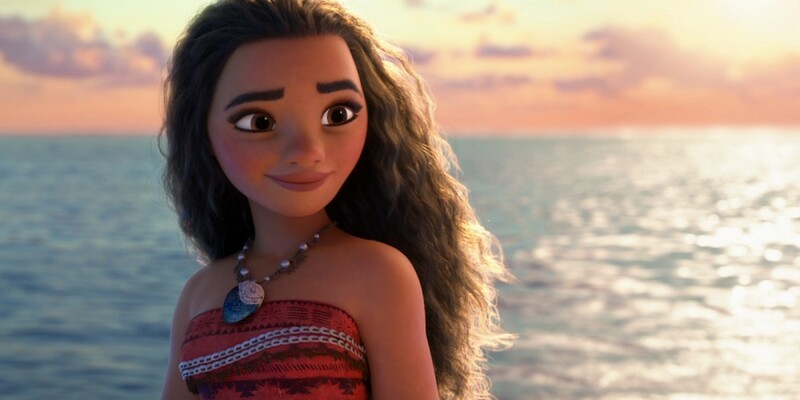 Moana (Auli’i Cravalho), the first Polynesian Disney character, has been drawn to the ocean since she was a little girl. As a young woman, she isn’t very keen on becoming the next chief of her people before finding out what’s beyond the reef separating her island from the vastness of the ocean. Her father, Chief Tui (Temuera Morrison) is against her wishes to voyage out to sea. 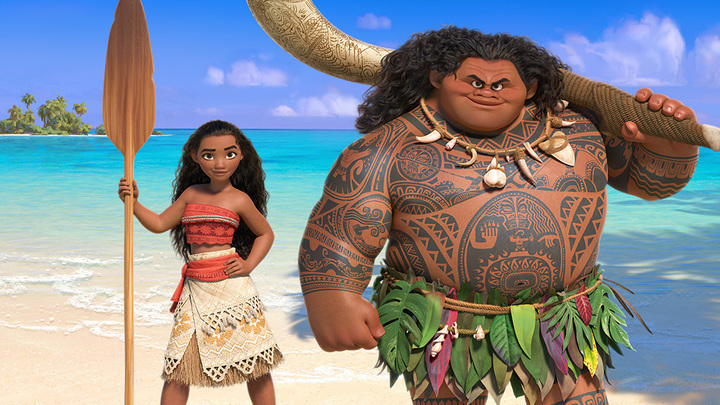 Not before long–and thanks to her grandmother (Rachel Tala)–Moana discovers that she must venture off the island and, with the help of the demigod Maui (Dwayne Johnson), must return the lost heart of Te Fiti in time to save her island from dying. The film, directed by Ron Clements and John Musker (The Princess and the Frog, Aladdin), is Disney in its element. Moana starts off with the typical Disney princess-esque attributes. She wants to get away from duties long-ago expected of her and, although she doesn’t completely dislike the idea of becoming chief of her people, there’s still a rebellious streak that must be sated. But as the story continues, Moana quickly becomes less about the title character’s individual plight and more about the collective notion of helping her people and being one with the earth. Moana’s personal journey grows out of this realization. The fact that she goes away to accomplish her goal develops her individually, but at the same time maintains her place among her people. In thinking about this, it’s quite beautiful and subtle in the way it’s handled. Moana also has plenty of comedy. It largely comes in the form of Dwayne Johnson’s Maui, who is larger than life and full of exuberance. Disney loves their non-talking animal sidekicks (Tangled, Frozen, Pocahontas) and Alan Tudyk’s cowardly chicken is also responsible for a lot of laughs. There are moments in the film when it feels like Maui (and his tragic backstory) threaten to take away Moana’s spotlight. It’s obvious in the way the focus shifts a bit and Maui comes further to the forefront. For a secondary character, he’s more developed than many other supporting characters in Disney’s animations. This isn’t a bad thing, as secondary and supporting characters should be developed and three-dimensional. However, as a female-centric film (especially one about a woman of color), it’s important to maintain focus on Moana. Thankfully, the film realigns itself and shifts the gears back to its central character while still giving plenty for Maui to do. Ultimately, Moana is visually beautiful and narratively engaging. The songs, co-written by Hamilton’s Lin-Manuel Miranda, are upbeat, uplifting, and memorable. The film’s centerpiece song, “How Far I’ll Go,” is inspiring, while Jemaine Clement’s “Shiny” is a hilarious song that’s just right for the scene-stealing character. Disney has another classic, memorable animated film on their hands with Moana. There’s a magical spark to the film and, with a fantastic lead female character and great storytelling, Moana is a spirited adventure you’ll have to see for yourself. Next ArticleTV Review: The Last Man on Earth (3×07): “Mama's Hideaway"